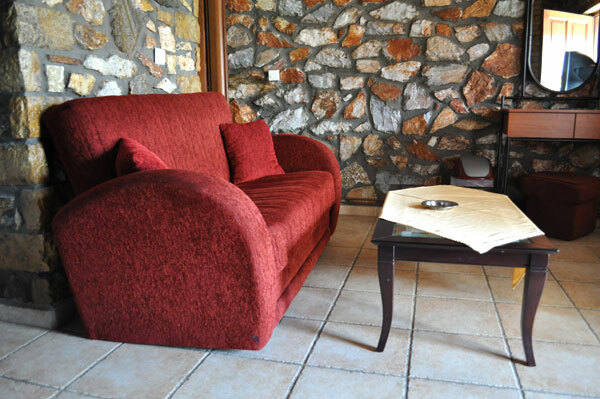 The Grand Suite has a double-bed and a living room with a sofa which extends to a full double-bed. 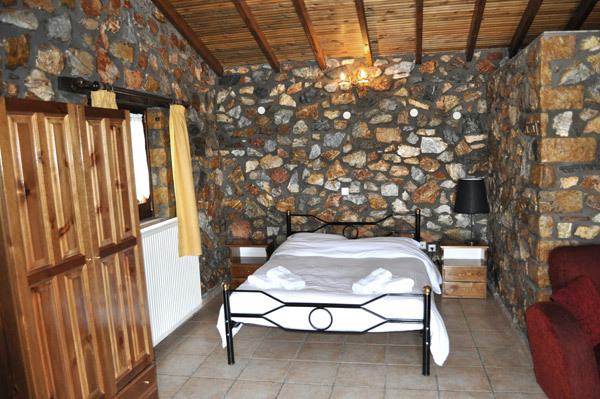 The room is fully equipped with a telephone, a refrigerator, a fireplace, a television set, while there is an Internet connection. 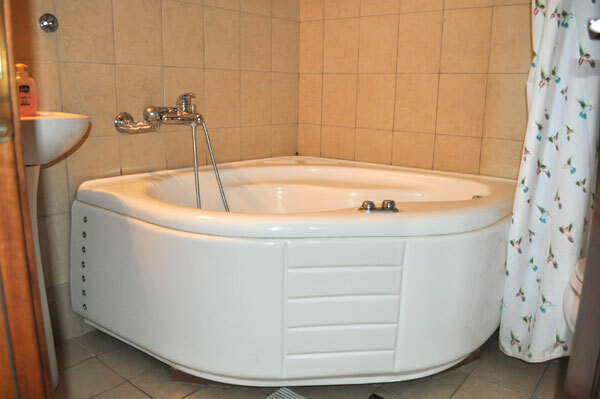 Grand Suite like all other rooms has its own bathroom, bathtub with hydromassage. 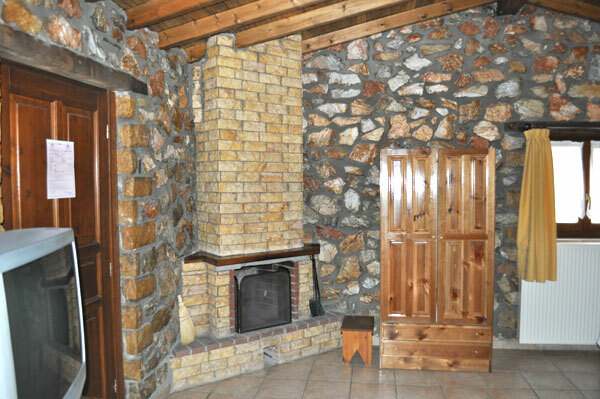 Upon request there is also available a washing machine, a dishwasher, a freezer, and a fully equipped kitchen. 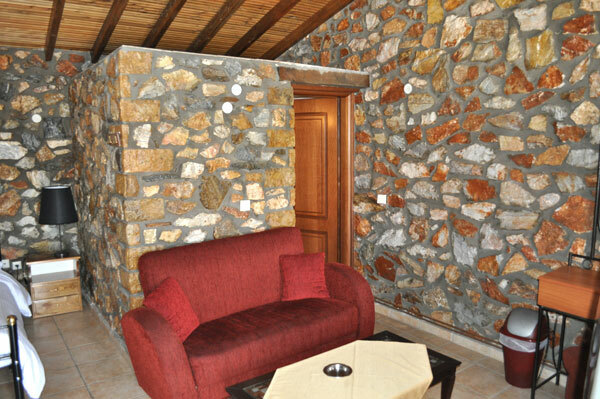 In its interior, the room is warm and welcoming. 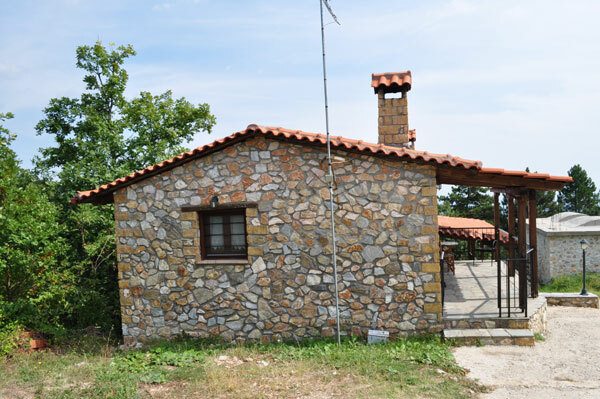 In the yard, there is a small hatch with woods to feed the fireplace and a traditional veranda with a fantastic view to the sea and the surrounding mountains. The Grand Suite offer 1 bedroom which can accommodate up to 2 persons and have its own en suite bathroom and traditional handmade metalic bed. Also offers a nice decorated room with classic furniture, refrigerator, a sofa which can accommodate 2 extra persons, fireplace, TV and air conditioning. Outside you will find a beautiful large balcony where you can spend relaxing time with breathtaking panoramic views of the surrounding area.